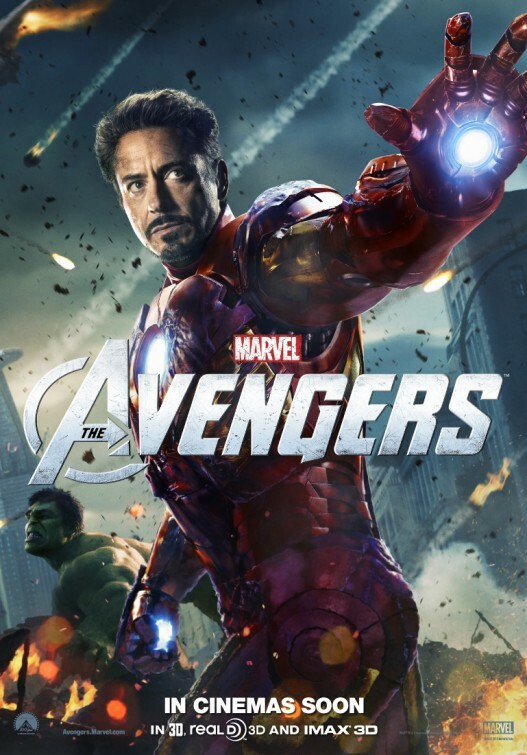 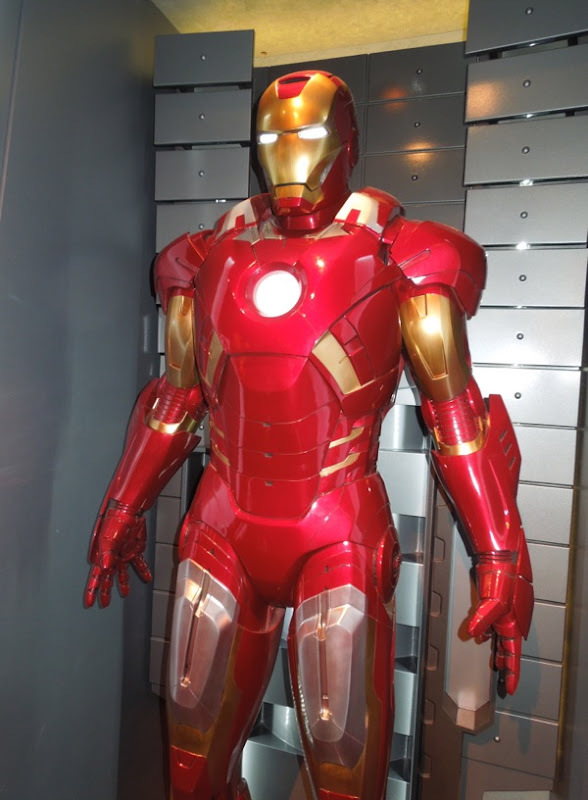 In Marvel's The Avengers 'Tony Stark' starts the film in his Mark VI armour from Iron Man 2, but when he is thrown from Stark Tower by 'Loki' he summons his new Mark VII suit to save himself and battle the invading Chitauri aliens. 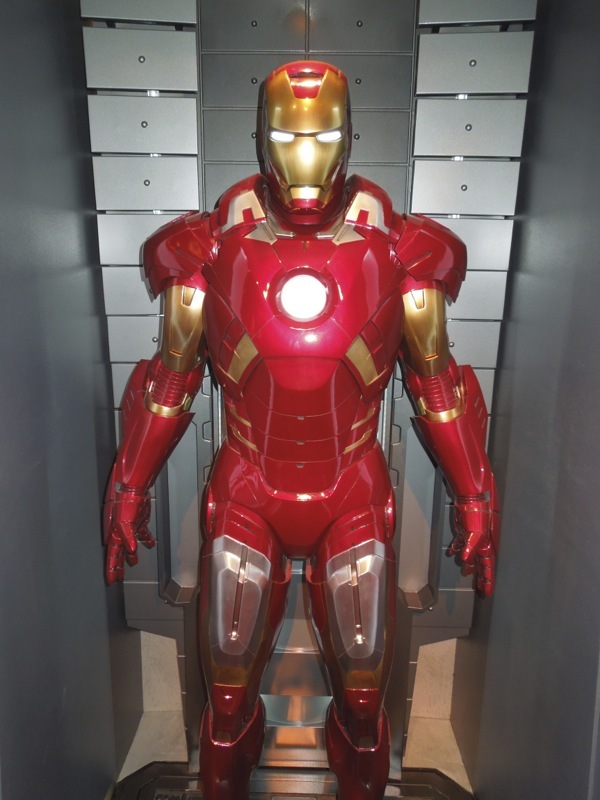 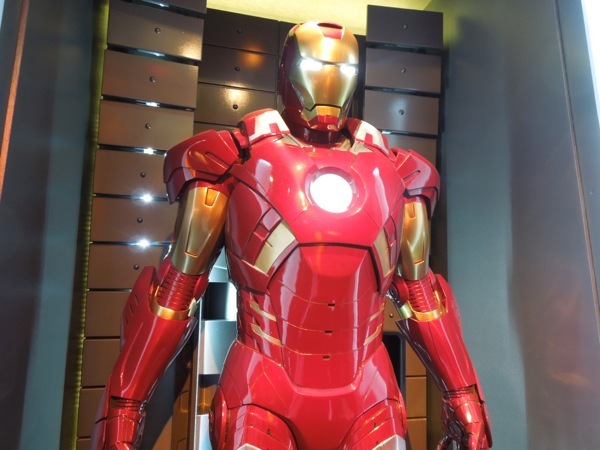 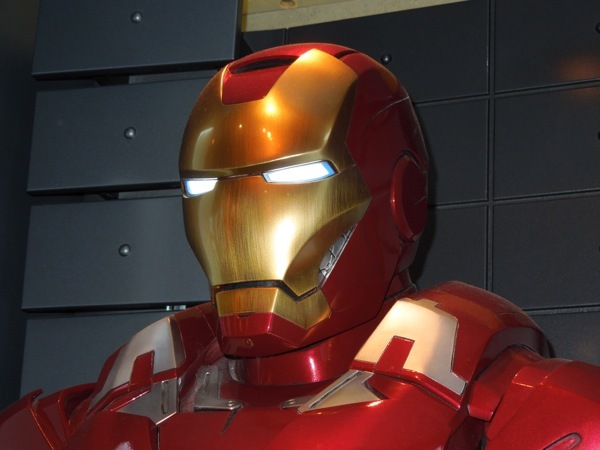 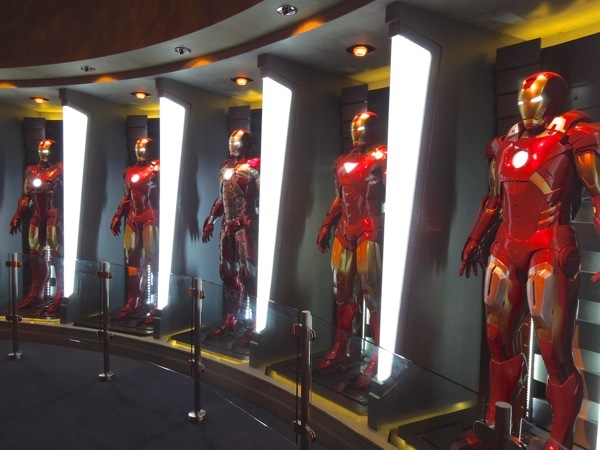 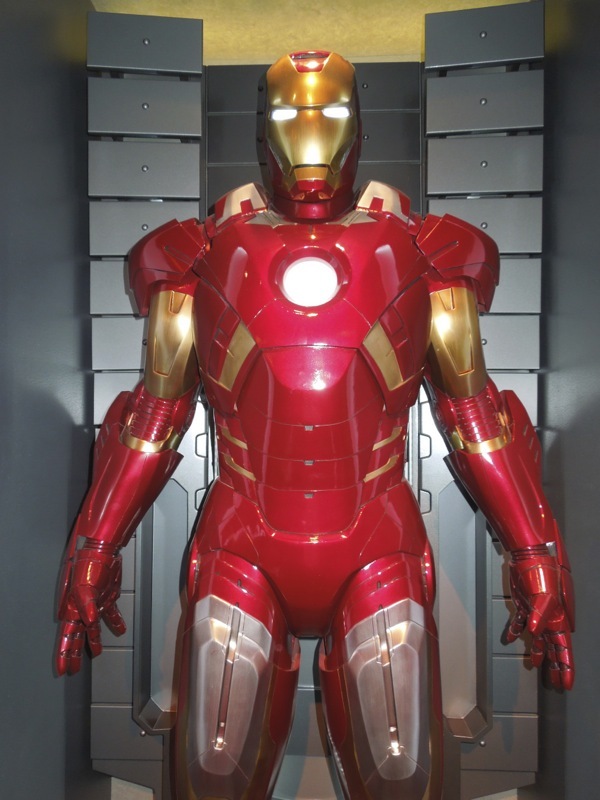 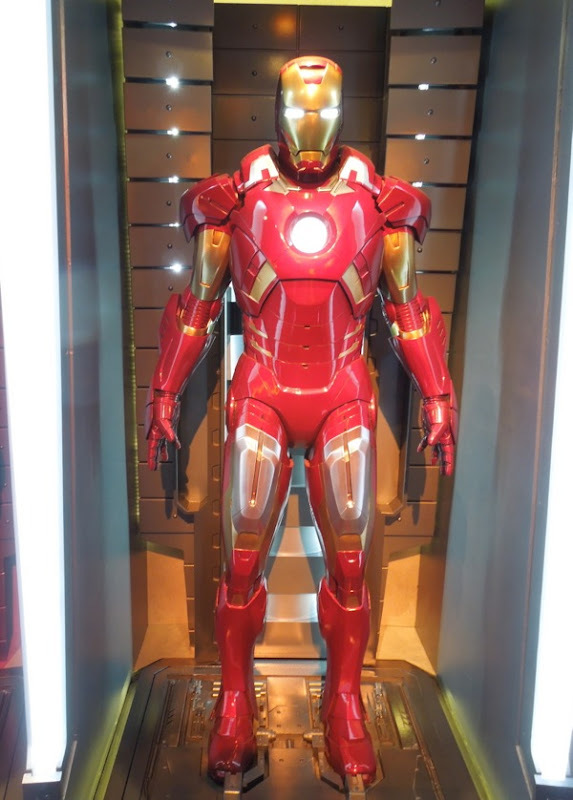 This seventh iteration of the armoured Avenger's suit was photographed on display at Disney's Tomorrowland Innoventions attraction which is temporarily housing a mini Stark Expo exhibit to help promote the release of Iron Man 3. 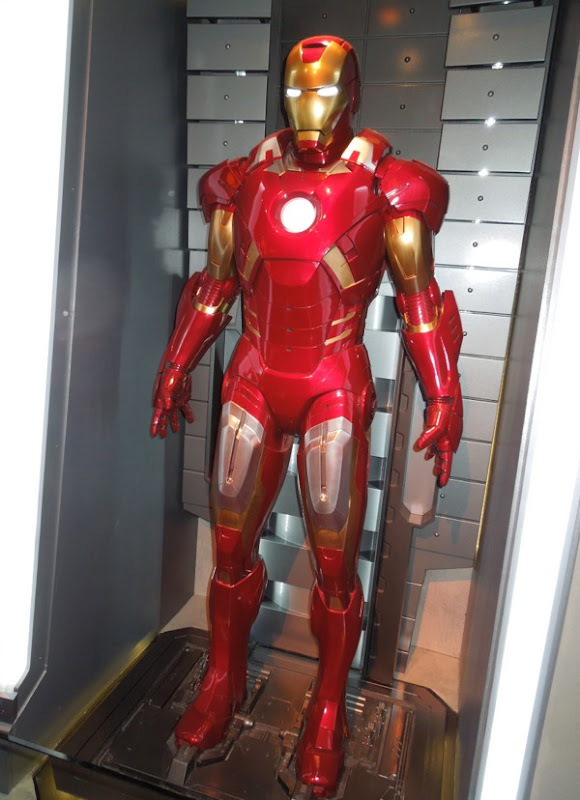 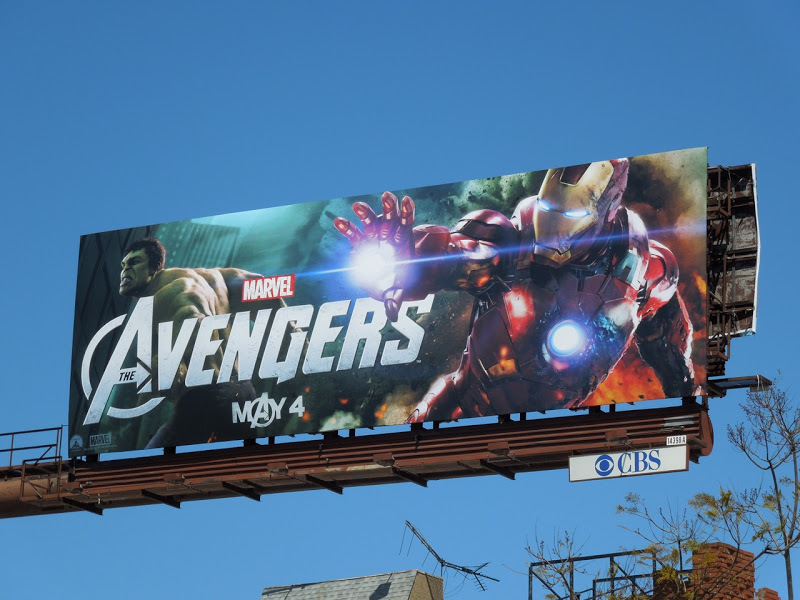 This Mark VII suit which featured in The Avengers was snapped on April 17, 2103, alongside Iron Man's Mark I-VI armours and his new Mark 42 suit from Iron Man 3. 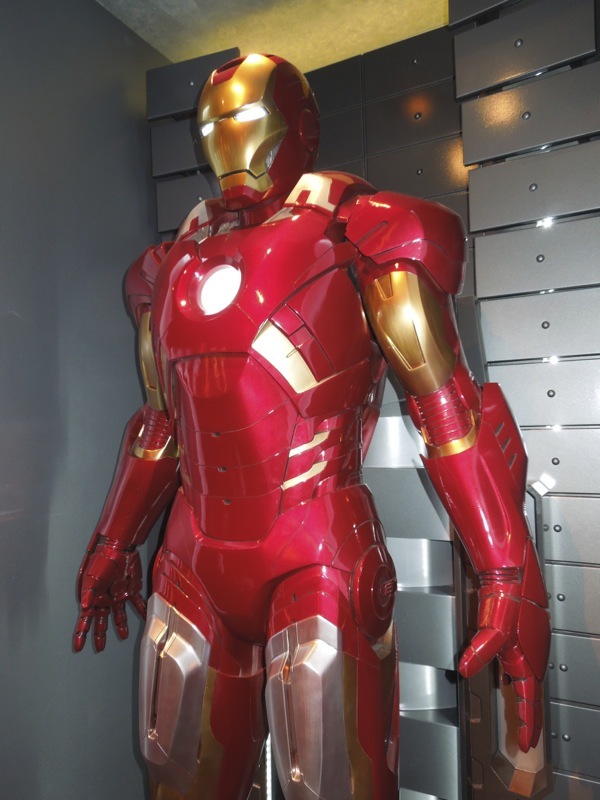 If you're as much of a fan as I am of the founding red and gold Avenger, be sure to check out all his suits here at Hollywood Movie Costumes and Props, plus lots of other great costumes and props from the superhero movie genre.